Nouakchott (; [nwakʃɔt]; Arabic: نواكشوط‎‎ Nuwākshūṭ, originally derived from Berber Nawākšūṭ, "place of the winds") is the capital and largest city of Mauritania. It is one of the largest cities in the Sahara. 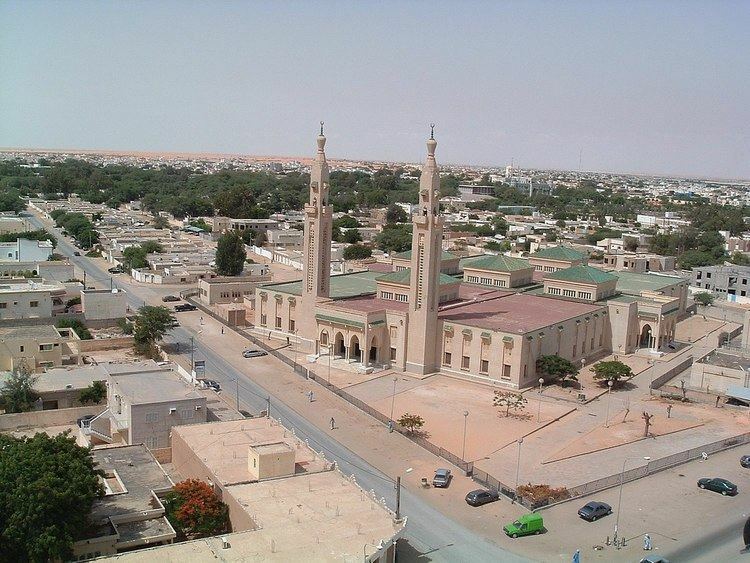 The city also serves as the administrative and economic centre of Mauritania. Nouakchott was a small village of little importance until 1958, when it was chosen as the capital of the nascent nation of Mauritania. 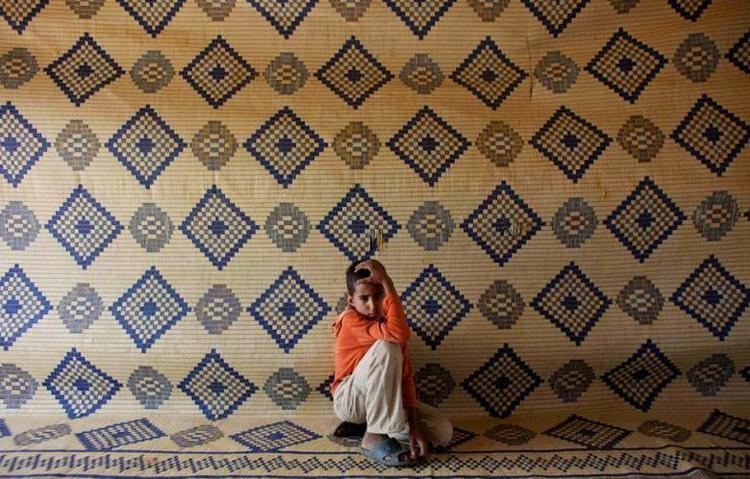 It was designed and built to accommodate 15,000 people, but droughts and increasing desertification since the 1970s have displaced a vast number of Mauritanians who resettled in Nouakchott. This caused massive urban growth and overcrowding, with the city having an official population of just under a million as of 2013. The resettled population inhabited slum areas under poor conditions, but the living conditions of a portion of these inhabitants have since been ameliorated. The city is the hub of the Mauritanian economy and is home to a deepwater port and one of the country's two international airports. It hosts the University of Nouakchott and several other more specialized institutes of higher learning. Nouakchott was a tiny, fortified fishing village (ksar) in pre-colonial times and under French rule. As Mauritania prepared for independence, it lacked a capital city and the area of present-day Nouakchott was chosen by Moktar Ould Daddah and his advisors. Ould Daddah desired for the new capital to be a symbol of modernity and national unity which ruled out existing cities or towns in the interior. 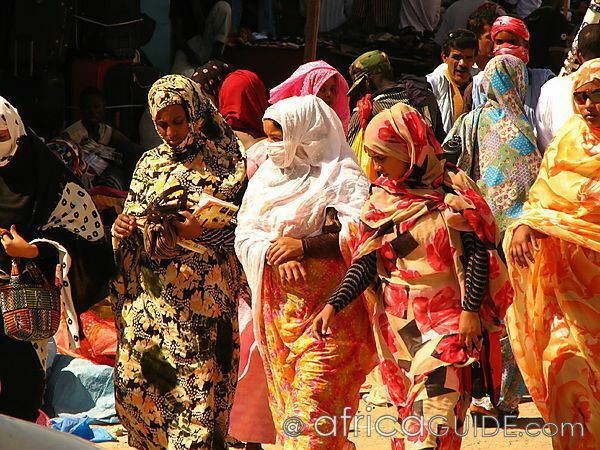 The village was selected as the capital city for its central location between Saint-Louis, Senegal, the city from which the colony of Mauritania was governed, and Nouadhibou. Its location also meant that it avoided the sensitive issue of whether the capital was built in an area dominated by the Arab-descended Moors or Black Africans. Construction began in March 1958 to enlarge the village to house a population of 15,000 and the basics were completed by the time that the French granted independence on 28 November 1960. Nouakchott was planned with the expectation that commerce and other economic activities would not take place in the city. Nouakchott's central business district was planned with broad streets and a grid-like structure; the new Cinquième Quartier (Fifth District) was located close to this area and became the location of a large open-air market and residential area within a few years. During the 1960s, the city obtained its own local government. By the 1970s, these new areas had grown so much that they replaced the old ksar in terms of importance, as they also hosted the governmental buildings and state enterprises. The city was attacked twice in 1976 by the Polisario Front during the Western Sahara conflict, but little damage was caused by the guerrillas. The city has had massive and uncontrained growth, driven by the North African drought, since the beginning of the 1970s; hundreds of thousands moved there in search of a better life. The official censuses showed 134,000 residents in 1977 and 393,325 in 1988, although both figures were probably smaller than reality. The population is now estimated to consist of at least one third of the country's population of 3.2 million and the 2013 census showed a population of 958,399. Located on the Atlantic coast of the Sahara Desert, it lies on the west coast of Africa. With the exception of Friendship Port and a small fishing port, the coastal strip is mostly left empty and allowed to flood. The coastline includes shifting sandbanks and sandy beaches. There are areas of quicksand close to the harbour. Nouakchott is largely flat and only a few meters above sea level. It is threatened by the sand dunes advancing from its eastern side which pose a daily problem. There have been efforts to save particular areas, including work by Jean Meunier. Owing to the rapid build-up, the city is quite spread out, with few tall buildings. Most buildings are one-story. Nouakchott is built around a large tree-lined street, Avenue Gamal Abdel Nasser, which runs northeast through the city centre from the airport. It divides the city into two, with the residential areas in the north and the medina quarter, along with the kebbe, a shanty town formed due to the displacement of people from other areas by the desert. Other major streets are named (in French) for notable Mauritanian or international figures of the 1960s: Avenue Abdel Nasser, Avenue Charles de Gaulle, Avenue Kennedy, and Avenue Lumumba, for example. The kebbe consists of cement buildings that are built overnight and made to look permanent to avoid destruction by the authorities. In 1999, it was estimated that more than half of the city's inhabitants lived in tents and shacks, which were used for residential as well as business purposes. The city is broken into nine arrondissements, sub-divided into alphabetised Îlots. These are Teyarett, Ksar, Tevragh Zeïna, Toujournine, Sebkha, El Mina, Dar Naïm, Arafat and Riad. The Sebkha (Cinquième) Arrondissement is home to a large shopping area. Nouakchott features a hot desert climate (Köppen: BWh) with hot temperatures throughout the year, but mild winter night temperatures. Nouakchott possesses a relatively mild temperature range compared to other cities with this climate. While average high temperatures are relatively constant at around 33 °C (91 °F), average low temperatures can range from 25 °C (77 °F) during the summer months to 13 °C (55 °F) during the winter months. Minimum temperatures can be as low as 10 °C (50 °F) during winter nights in Nouakchott. Average rainfall in the city is 94 mm (3.7 in) a year. The town was initially divided into four departments in 1973. In 1986 the current nine departments were created. Formerly a district, in 1990 Nouakchott became a region of Mauritania. On 25 November 2014, it was split into the three current regions and its governor Mahi Ould Hamed became the first governor of Nouakchott-Nord. For comparison, its population was only 20,000 in 1969 and 150,000 in 1980. Part of the difficulty in estimating the city's population is that part of it is nomadic, setting up tents in suitable locations, then packing up when the need strikes. Some estimates put the 2008 population at over 2 million, estimated to be close to one-third of the country's population. The 2013 census gave the city's population as 958,399. In 2009, the government of Mauritania announced that it would begin a process of clearing the slum on the outskirts of Nouakchott. 24,000 families would eventually be relocated to planned housing in the city. The process was scheduled to begin with the relocation of 9,000 families from the outskirts into the poor Arafat department neighbourhood of "Kosovo", popularly named for its high crime rate and poor services. The government planned to begin moving families in June 2009 despite concerns from aid agencies that needed infrastructure could not be put in place in the receiving neighbourhood. In 2013, it was reported that "slums have been replaced by social dwellings for the poorest", with the World Bank reporting that the plan met with substantial success, resulting in access to improved services for 181,035 people in the slum areas. Nouakchott is the center of the Mauritanian economy, with three-quarters of service sector enterprises located in the city as of 1999 with 90% of the city's economic activity consisting of informal transactions. Some inhabitants have multiple addresses and maintain strong ties with their regions of origin, at times returning for labor. Nouakchott has a Chinese-built deepwater port that opened in 1986. It was designed for a capacity of 500,000 tons deadweight (DWT) of cargo a year, but has been handling 1,500,000 tons (DWT) by 2009. China agreed in 2009 to invest US$282 million in the port, aiming to extend the main quay by over 900 m (3,000 ft). As of 2011, the World Bank was investigating funding a new shipping container facility at the port. Air service is provided by Nouakchott–Oumtounsy International Airport, which replaced the previous Nouakchott International Airport in June 2016. The Cairo–Dakar Highway leg from Nouakchott to Noudhibou was paved in 2004, although the Nouakchott-Rosso leg was paved before independence. A 1,100-kilometre (680 mi) road (Route d'Espoir (Road of Hope)) connects the city with Néma via Boutilimit and Kiffa. In the city, there is a public transport and commuter system, with vehicles serving major boulevards. Although the rocks beneath the city contained a vast reservoir of fresh water, known as the Trarza Lake, it is running out, owing to the large growth of the city. Engineers have warned it could run out by 2054, since it is not rain-fed, and is therefore non-renewable. The problem is particularly bad in the sandy shanty towns where the majority of the population lives. Many people already have to buy water, which is expensive compared with the average wage. The city is home to the University of Nouakchott, which is the only university in Mauritania and was opened in 1981. As of 1995, it had 70 professors and 2800 students. Other higher education facilities include the National School of Administration and the Higher Scientific Institute. There are many primary and secondary schools, among the most prominent are the American International School of Nouakchott and the Lycée Français Théodore Monod. Attractions in Nouakchott include the National Museum of Mauritania, the National Library and the National Archives. 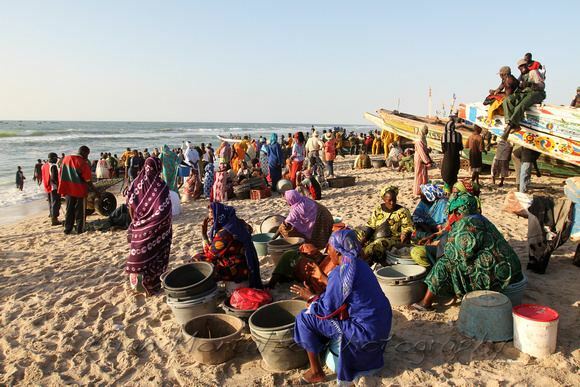 The city hosts several markets including the Nouakchott Silver Market, and the beaches. One beach is devoted to fishing boats where fish can be bought fresh. 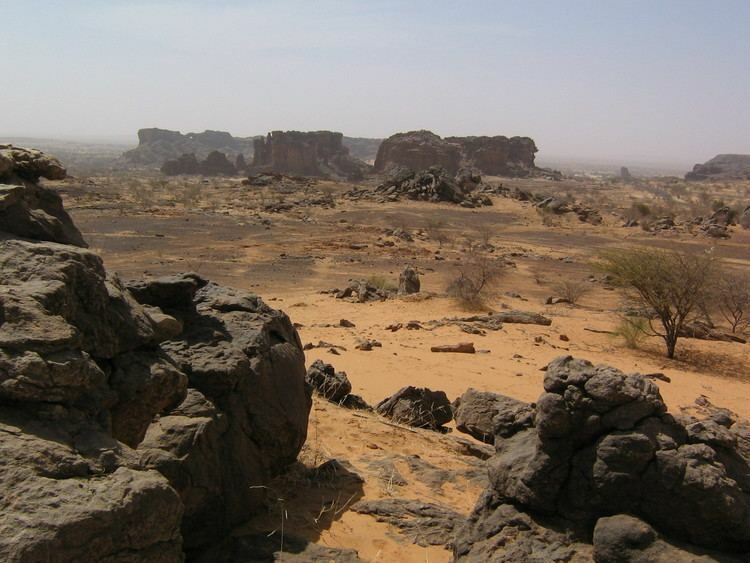 Nouakchott is a principal selling place of native Saharan meteorites. There is a mosque donated by Saudi Arabia in the city centre and a Moroccan mosque further south. Although Islam is the state religion in Mauritania, Nouakchott includes the Catholic Cathedral of St. Joseph. It is home to the Roman Catholic Diocese of Nouakchott, founded in 1965. Nouakchott hosts nine of the thirteen teams of the Mauritanian Premier League.